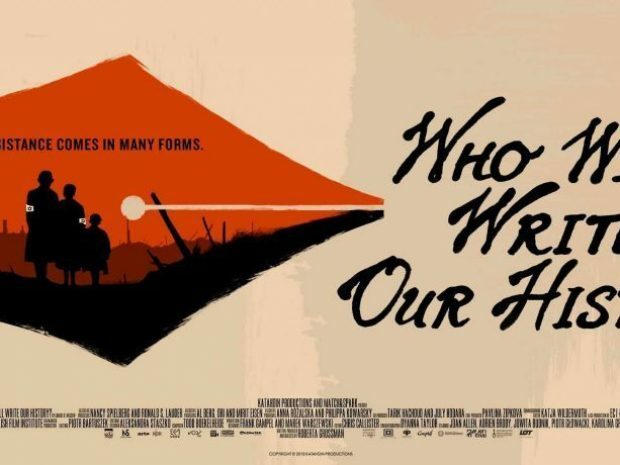 Professor Samuel D. Kassow’s book “Who Will Write Our History,” has been made into a film, its world premiere to be on July 21, 22, and 23 in California, at the San Francisco Jewish Film Festival. Kassow’s book is an exploration of the horrors of the Warsaw Ghetto, with a focus on a certain Emanuel Ringelblum. Ringelblum and a close circle of historians collected first hand experiences and eyewitness accounts from others in the Warsaw Ghetto, creating a rich archive of the lives of Jews during the Holocaust. Among the collection are underground newspapers, deportation records, as well as small artifacts like concert invitations and chocolate wrappers. Many were preserved in time capsules, hidden in the ruins of Warsaw, found after the war. Everyday life is documented by Ringelblum, and revealed by Prof. Kassow, with razor sharp detail and intimacy. The film, produced by Nancy Spielberg and Roberta Grossman, directed by Roberta Grossman, had its first unveiling at a private screening on May 3 of this year, at Trinity’s Cinestudio. When The Tripod sat down with Hillel Director Lisa Kassow in May, she included her husband’s film as a highlight of the 2018 celebration of Trinity Hillel’s 70th anniversary. She described the upcoming film as an survey of “a usable past” of documentation from Warsaw. Kassow’s book, first published in 2007, has since been the subject of endless praise. In 2008, Peter Miller of The New Republic said it “may well be the most important book about history that anyone will ever read.” And The Los Angeles Times has called the work “brilliant.” It was also featured as a “smart [and] powerful” movie to watch at the San Francisco Jewish Film Festival by The San Francisco Chronicle. As the title of the book and movie suggests, Kassow and the filmmakers are concerned with the old saying of “history is written by the victors.” Kassow and Grossman tackle this issue head-on by focusing on Emanuel Ringelblum, a man who proved that the old saying is not necessarily true. Perhaps it should be “history is written by those who care.” Kassow poses the question in the flim’s trailer: “will the Germans write our history or will we write our history?” Ringelblum and his circle had the latter as their goal: to “write the history of the war from the Jewish perspective,” says Kassow. Following Ringelblum and his secret organization of witness historians, Kassow and Grossman explore the entire Oynes Shabes (Joy of the Sabbath) archive. At the end of the war, only 3 of the 60 members of the group survived. Ringelblum and his family were among those executed. “Who Will Write Our History” tells the stories of the storytellers. Most did not live to see their impact. But Kassow and Grossman show how they nevertheless fought for a future of truth.